Growing up, my mom would light our menorah—it was a tree-shaped menorah, similar to a Christmas tree, not the usual Jewish “tree of life” symbol. It was metal and painted green, and the candles were staggered on different levels leading up to the top candle, which was on the top of the tree, like one might place a Christmas angel on their Christmas tree. It never occurred to me that there was anything wrong with this. You see, my mother was born a Jew but left Judaism and converted to Christianity when she was 18. When I was 18 I left Christianity and returned to my Jewish heritage. I grew up knowing next to nothing about Judaism—Chanukah, jarred gefilte fish, and one zemer, song, that my mom would periodically sing. I vaguely recall my grandmother wishing us a happy new year sometimes in September, which I found confusing since the new year was in January, and I knew nothing of Passover or Yom Kippur, let alone less well-known holidays (in the secular world) like Sukkot or Purim. Once I was in college I began to explore Judaism. I knew already, however, that if I was going to claim the moniker of Jew for myself, I was not going to do it the way I had as a Christian—that is, the option of being an unobservant or secular Jew did not appeal to me. Why change what I call myself if my actions remained the same, after all? So in my search then, and still to this day, my actions, how I do things, remains of primary importance to me. Eventually, after quite a bit of trial and error, I became observant. Shabbat was the easiest thing to observe, and even now I don’t know how I would make it through the week without knowing that I had Shabbat to look forward to. My observance of the holidays came fairly quickly as well, while other mitzvot, like kashrut, took a bit more time. I still struggle, even now, with certain mitzvot. After I married I covered my hair for 9.5 years before I stopped. Covering was very difficult and miserable, and it took most of that 9.5 years before I learned enough and matured enough to realize that, at least for me, this was not a good representation of who I was as a Jew or what it meant to be observant. I thought I would experience a great backlash from the Orthodox community, but hardly a word (if not lots of looks and whispers) was said. I also resent the way women are discouraged from taking too visual a role in many organizations and public positions. I thank G-d that I am Modern Orthodox, as I could never accept the limitations that the more right-wing Orthodox women take on: I struggle with it enough where I am. Still, with all the challenges and difficulties, I find that the experience of leading an observant life, of living my life as a Jewish woman, outweighs the life I led as a secular woman. I choose to strive against what I consider biases based not on halakhah but on centuries of patriarchy from an insider position, as a woman who does observe. I have journeyed far, from a secular Christian child to an Orthodox Jewish woman, and I have found my home here, within Modern Orthodoxy. Tonight I will light all eight Chanukah candles with my family. I feel blessed to have moved from the little girl, lighting the Christmas-tree menorah with my mother, to the observant Jewish woman surrounded by my husband and three children, conscientiously participating in the mitzvah of Chanukah. Nothing gives me such joy as to see my children lighting their own Chanukiot and making the brachot, even my three-year old (who “assists” me in lighting). Each Chanukah, I am enthralled by the dancing lights, remembering that there is a pintele yid, a Jewish spark in each Jewish soul. And that even those who, like me, had nearly no exposure to Judaism growing up, has a connection to Judaism, a connection that should be cherished and nurtured. 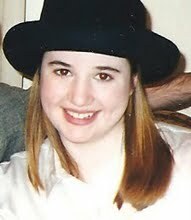 KosherAcademic began her return to Judaism when she was 18. Now married with 3 children at 32, she lives as an expat in Quebec and is working on her PhD in Jewish Studies. If you would like to submit an essay for the MY JUDAISM column, the guidelines and disclaimers are here. kol hakavod KA on your journey back to your heritage! i always marvel at ppl. who take on observant practices when it was not the way they were raised. for me, who was raised orthodox, it’s practically a no-brainer that i continued to raise my children in the manner in which i was raised as a child yet i occasionally wonder had i not been raised in an orthodox home whether or not i would have chosen that lifestyle if it were so foreign to me in my youth. i find it so interesting that both you & your mom chose to change your religions at age 18. i am also curious to know whether your mom was accepting of your decision to return to your jewish roots or not. i also wonder how your mom’s leaving Judaism at age 18 affected her own relationship with her parents. if you are willing to answer these questions for me, i’d be most appreciative but if not, that is fine too! wishing you a shabbat shalom, chodesh tov & chanukah sameach! I think my mom was fairly accepting of the situation–I believe she looked at it like I was doing what she did, just in the opposite direction. My being Orthodox, rather than something a bit more…flexible…was difficult for both my parents (who are divorced, and my father is not Jewish) but they did get used to it (eventually). I also changed my name, as my birth name was rather Christian, and that was an adjustment for the family as well. My mom was raised (this is my view of the situation, not necessarily hers) in a Jewish home that was all the negative stuff (thou shalt not) vs the positive stuff. So it wasn’t how wonderful the holidays are, but how we don’t celebrate Xmas or Easter, how we don’t eat pork, etc. I don’t know how they reacted initially, but my grandmother z’l also eventually converted to Christianity, and my grandfather has always been very secular (although he was beside himself *thrilled* when he found out I had returned). Shabbat Shalom & Chanukah Sameach! KA, beautiful piece. I’d like to know if you have any thoughts on why so many baalei tshuva skew to the right wing, to the point where they radically change their political and social opinions to conform with the Orthodox right wing. When I became frum 30 years ago, no one told me I had to check my brain at the door. But in today’s world, it seems like fewer and fewer baalei tshuva feel that they have the option to choose Modern Orthodoxy. I find this really disturbing. tesyaa, i do know several ba’alei teshuva who classify themselves as modern orthodox but you are correct that the majority seem to veer more toward right-wing Orthodoxy. Perhaps since they are changing their ways they just shift in the opposite extreme & perhaps they don’t feel that living a modern Orthodox lifestyle is the correct choice for them. everyone must choose the path that feels correct for them individually. also, when you think of it, a lot of the ba’al teshuva programs (Aish Hatorah, Ohr Sameach, Neveh Yerushalayim or the kiruv (outreach) done by Chabad) are all under the auspices of more right wing Orthodoxy which may explain how the newcomers to Orthodoxy will veer in a more right-wing direction. I think Batya hit the nail on the head. It was a Lubavitch family that helped me (via the internet!) become observant. But there was never any pressure from them to become Lubavitch; I always had the impression that every mitzvah I undertook was what thrilled them, and there was never any judgment to be something I didn’t want to be. I am still very close with this family (actually we now live in the same town as they do) and still adore them. I wish my BTs knew that they didn’t have to go all the way to the right in order to be observant. Although I think people do end up, eventually, where they belong. I think it has to do with the desire to do things “right”. To observe the mitzvot as stringently as possible- which to many is the point of coming closer to Judaism. Many modern orthodox peeps do it cuz it’s how they were brought up, not cuz they understand what they are doing- any more than the FFB’s who are more ‘right wing’ understand why they do what they do. But organisations like Aish and Ohr Hatorah do explain, and very well. Like not covering your elbows can seem like a copout to an excited BT- why NOT cover your elbows? Eating in a non kosher milchig restaurant is not “strictly kosher”, but it is permissible to certain groups. ect. and completely forbidden by others. In the end, there is a ‘comfort zone’ that each of us falls into, but this can take years to develop. Great post and great story. What a journey! I had visited your blog on a few occasions before but knew nothing of your background. Very interesting post.